The Nutmeg State is home to an assortment of festivals that satisfy just about anyone’s interest. From festivals dedicated to succulent fruits like apples and strawberries, to old-time events like a classic Renaissance fair, and let’s not forget New England’s favorite: a festival for clam chowder. Travel across the state to experience these events for great food, great music and lasting memories. Here are our 10 favorite festivals in Connecticut. Located in the tiny town of Salem, the biggest event of the year is the Apple Festival, which is celebrated on the last weekend of October. From 9 a.m. until the apples goodies are sold out, you can gorge yourself on everything apple. Enjoy apple cider, apple pancakes, apple fritters, and more. Every October, enjoy family fun at the Connecticut Renaissance Faire to see what it might have been like to live in 16th century England. There are numerous daily events including acrobats, parades, and circuses. The Renaissance Faire also features shops that sell jewelry, leather journals, period clothing, and other knickknacks. Bringing together good people, good food, and of course, excellent jazz music, the Greater Hartford Festival of Jazz is a can’t-miss event. In previous years, the festival has welcomed legendary musicians like the Duke Ellington Orcechestra and Dave Brubeck. Each March, taste nature’s bounty of sweet maple syrup or learn about how maple syrup is produced in Hebron. At this family-friendly event, taste foods made with maple syrup, enjoy live music, face painting, and sugar house tours and demonstrations. Take home a pint of maple syrup to cook your own delicious creations. Enjoy the Strawberry Fest at Lyman Orchards to kick off your summer season. The Strawberry Fest takes place each June and features breakfast events, pick your own strawberries, and pony rides. Lyman Orchards has been in operation for 275 years and features pick your own apples, peaches, strawberries, pumpkins, pears, blueberries, and more throughout the year. Sailfest is a yearly event that takes place in New London and culminates in the annual fireworks display sponsored by the Mashantucket Pequot Tribal Nation. This three-day festival attracts people from all over the state and visitor counts soar to 300,000 people. 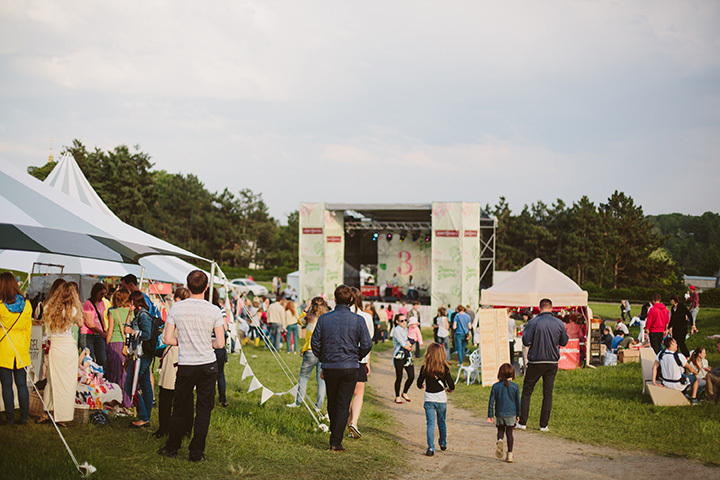 The festival has multiple stages that host musical performances, food, and other fun and games. The event takes place each July. The Durham Fair has existed for a century, and has evolved greatly since its humble beginnings. It is one of the largest agricultural fairs in New England, a four-day event that takes place in September each year. The event is entirely staffed by volunteers, making it the second largest fair in North America without paid management or employees. The fair has welcomed as many as 200,000 guests. Each September, get outdoors and participate in a citizen science festival with the Greenwich Audubon Society’s Annual Fall Festival and Hawk Watch. Celebrate the annual migration of raptors and enjoy fall foliage. This family-friendly event features hayrides, live raptor shows, hawk releases, face painting, and more. Every June, New Haven hosts a festival that is brimming with creativity. The International Festival of Arts and Ideas brings together an eclectic range of musical performances, theatrical events, and artists from all over the globe. Experience art from a variety of cultures and come together for this exciting community event. Head to Sherwood Island State Park to celebrate all things clam chowder. Take part in the annual chowder competition, follow the chowder trail, and enjoy other delicious foods such as artisanal bread, pasta sauce, and soup. Balance out the savory taste of clam chowder with yogurt, dried cranberries, and ice cream. View more Connecticut Festivals, Fairs and Parades.